The leading man versus shark movie. 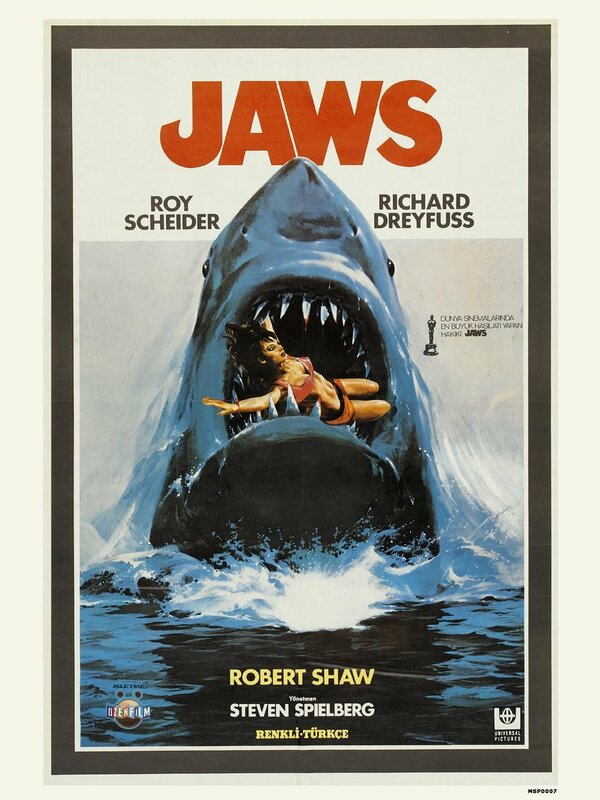 ﻿JAWS is a thrilling, man versus nature horror movie from 1975. It’s an adaptation of Peter Benchley's 1974 novel of the same name. Director Steven Spielberg delivers an iconic film that has an entertaining story featuring unforgettable characters. Not to mention the shark. This was the original summer blockbuster that kicked off that trend in Hollywood. Amity Island is a quaint little place nestled into the New England coast. It’s a small place that makes their money off of tourism at the beaches. That money is in duress when a man-eating Great White Shark eats people right out of the water. Sheriff Martin Brody leads the fight against this menace in the water. He has to keep people safe while dealing with the mayor breathing down his neck. When the bodies parts stack up, Brody has to go into action. He gets the help of Matt Hooper, a scientist from the Oceanographic Institute, and a fisherman named Quint. The three go into battle, and they might not come home. Steven Spielberg did an awesome job. This whole movie feels alive. Amity Island feels like a real place with real residents. I loved Sheriff Brody; he felt like a genuine human being. His struggle to keep people safe is frustrating, so it’s easy to identify with him. His character is so flushed out. The same can be said for Quint. He has such a detailed background you can forget that he’s just a character. It’s an important factor for a movie to have. Spielberg delivers it in spades. The tension is the main distributor of fear in JAWS. My heart was beating a lot quicker when people were playing in the ocean. I had seen this a few times before, and I knew what was coming. However, some part of me wanted the outcome to be different. Maybe this guy won't get his leg bitten off this time… nope. Then the shark is terrifying. It’s huge. A giant bulking monster that moves silently and undetected. There are shots that barely show the shark, but you can see its mass. You get an idea of how big it is. Those scenes are the scariest. This is such an iconic movie, and it’s expertly made. 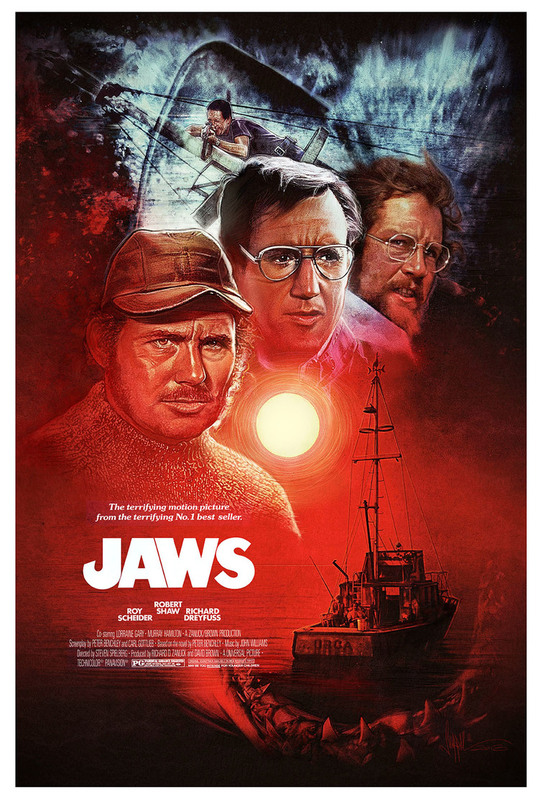 I wouldn’t say JAWS is the best movie ever, but it's the best JAWS movie ever. Might even be the best man versus nature film. The character development is top notch, the acting is amazing; the shots are fantastic. I can see why it’s in the running with movies like The Godfather and Citizen Kane. I found it to be interesting and entertaining. That’s a welcome combination for any picture.